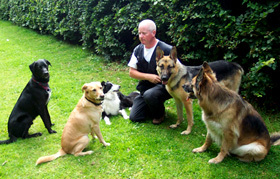 Dublin Dog training was set up in 2006 by John Ward who has 27 years experience in training dogs. 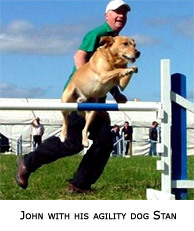 John instructed agility and obedience at the Working Trials Club of Ireland for 18 years and thats where he gained most of his experience. John attended numerous training and dog related seminars over the years and achieved judging status in 1992, since then he has judged numerous events both here, the UK and Sweden. John has also appeared on TV3’s Ireland AM, Ireland’s Pampered Pets, People and their Pets, The Morning Show and RTE’s Beastly Behaviour. John was the first winner of the AIB All Irelands Agility Dog award in 1990 with his German Shepherd dog “Rocky” and then went on to win two Irish Kennel Club Agility Dog of the Year Awards with his German Shepherd “Smokie”. John & Stan were part of the Republic of Ireland World Agility Team 2011 and 2012 and came in third place against top dogs from 12 other countries. By volunteering his time working in a rescue centre, he used his knowledge on dog training to assist rescue dogs become more adoptable. John and his family have been fostering dogs for a number of years. He has fostered, trained, walked and cared for many breeds and cross breeds. Our training centre provides all year round training (directions on Locations page). Estuary Kennels in Swords, North Co. Dublin where we have indoor obedience training and outdoor agility training. 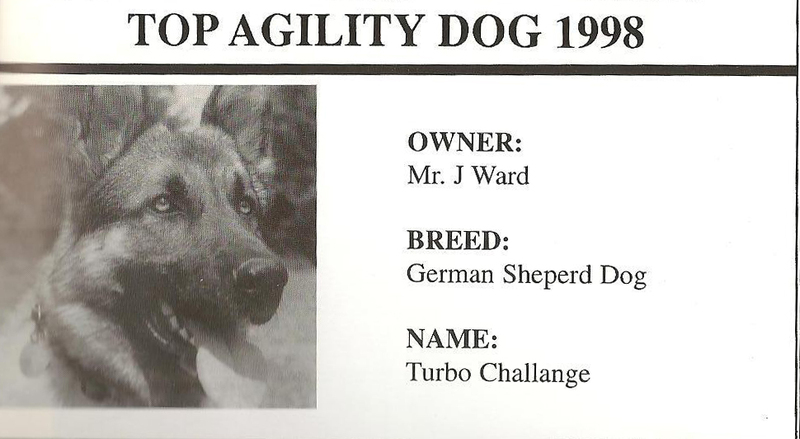 took 1st in the AIB All Ireland Agility Competition in 1990, and another clipping for ‘Smokey’ who took Top Agility Dog award in 1998 (awarded by the Kennel Club).